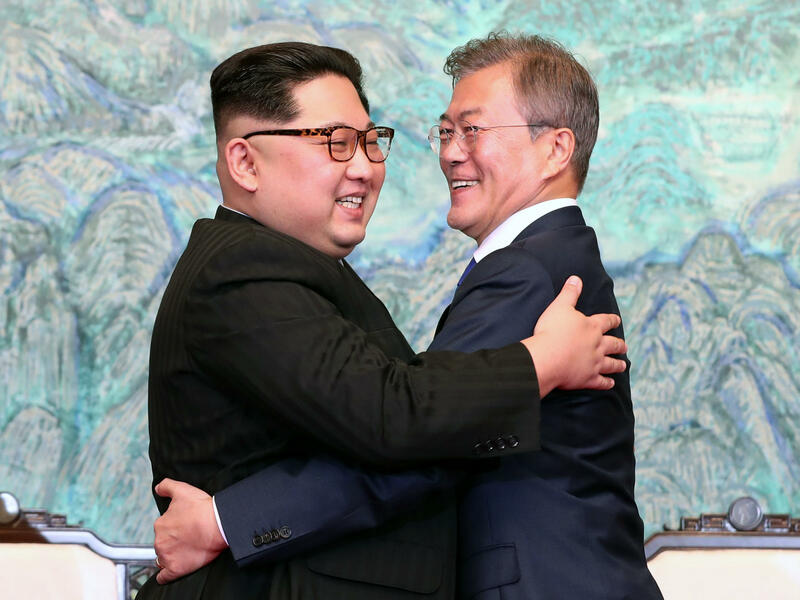 North Korean leader Kim Jong Un and South Korean President Moon Jae-in embrace after signing the Panmunjom Declaration for Peace, Prosperity and Unification of the Korean Peninsula during the Inter-Korean Summit at the Peace House on Friday. 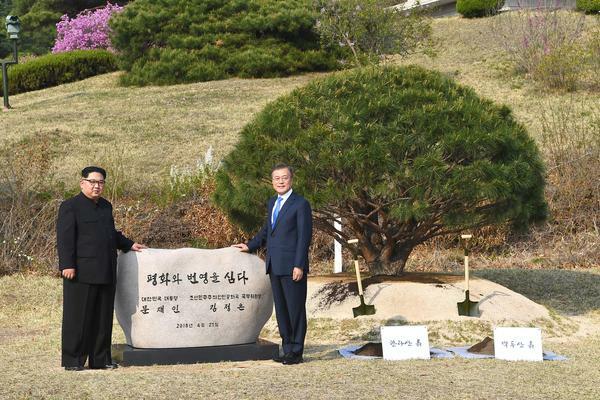 Moon and Kim walk together after a tree-planting ceremony at the truce village of Panmunjom on Friday. South Koreans opposed to the summit protest on Friday in Paju, South Korea, near the meeting site in Panmunjom. 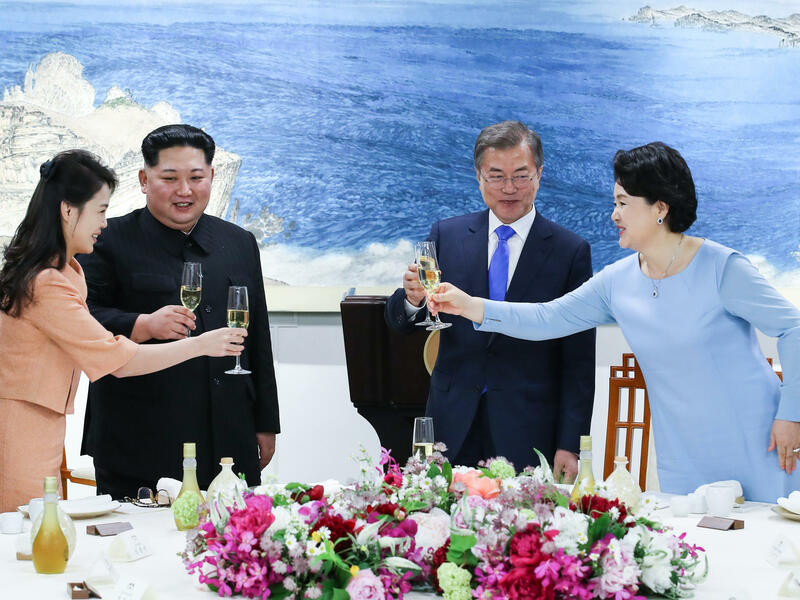 Kim and his wife, Ri Sol Ju (left), share a toast with Moon and his wife, Kim Jung-sook, during the official dinner at the end of their historic summit Friday. 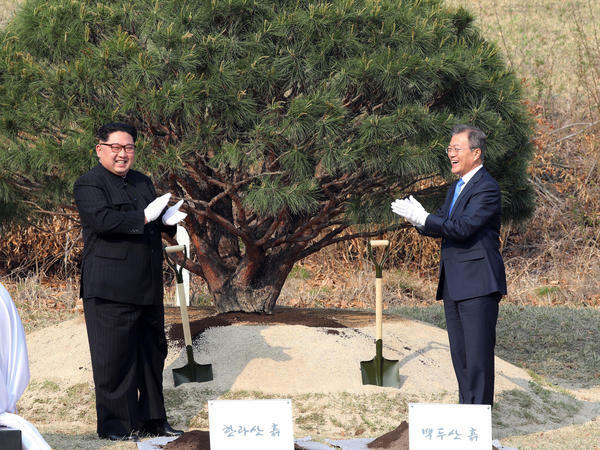 Kim and Moon attend a tree-planting ceremony Friday. 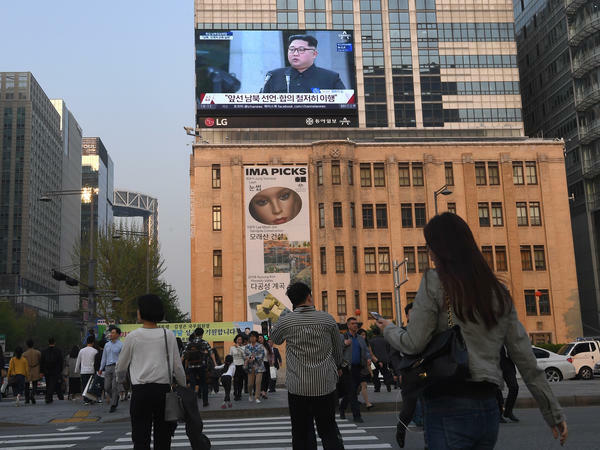 Pedestrians in downtown Seoul, South Korea, walk across the road as a big screen shows live footage of a joint news conference with Kim and Moon during the Inter-Korean Summit. 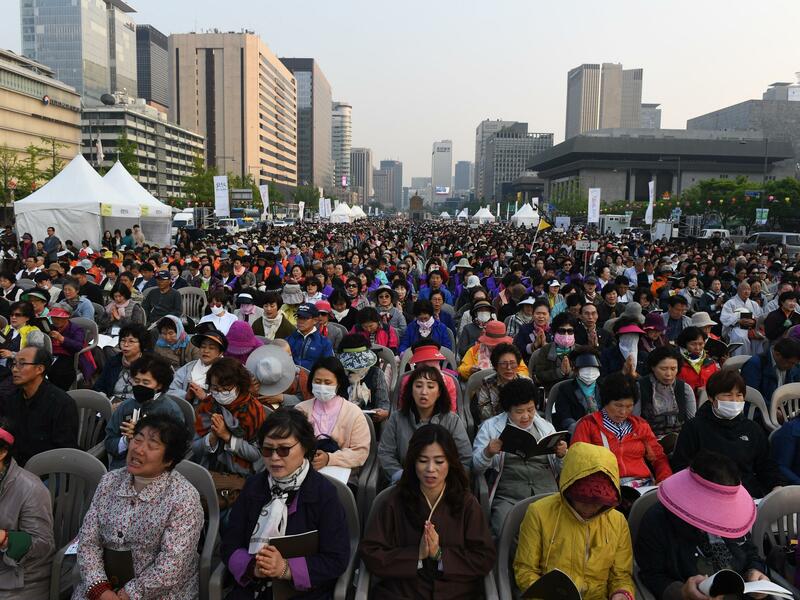 Buddhist followers attend a rally in Seoul to pray for the success of the Inter-Korean Summit. North Korean security officers jog alongside the vehicle carrying Kim as he left for a lunch break after the morning session of his summit meeting with Moon. An image of flowers is beamed onto the Peace House where the historic summit between the North and South Korean leaders took place, during the closing ceremony. 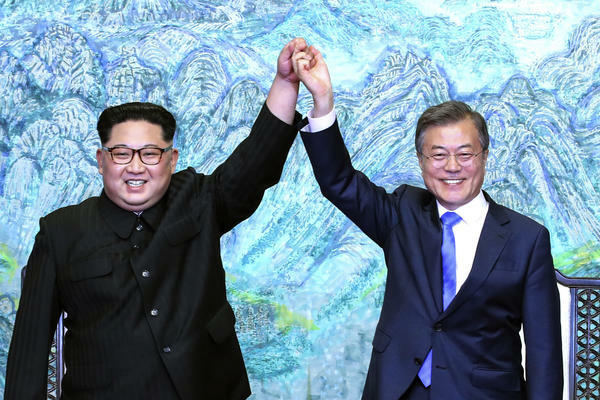 The agreement by the two leaders — to hammer out a formal peace treaty ending the Korean War and completely rid the peninsula of nuclear weapons — has inspired some in South Korea to dream of a nation reunited, and a blossoming of peace. But others feel they've been sold this horse before — and once the euphoria wears off, they warn, North Korea will still have its nukes, diplomacy will have failed and the threat of war will have only increased. South Korean media reported that while issues of inter-Korean relations were largely worked out in advance, the thorniest problem of North Korea's nuclear weapons could not be pre-agreed. It was left to the two men to discuss alone. So in the afternoon, the two ditched their retinues and sat down at a table on a bridge in the woods, in the middle of the DMZ. The uninhabited, heavily fortified no man's land between the two countries teems with wildlife, and all that could be heard was birdsong as the two spoke face to face. 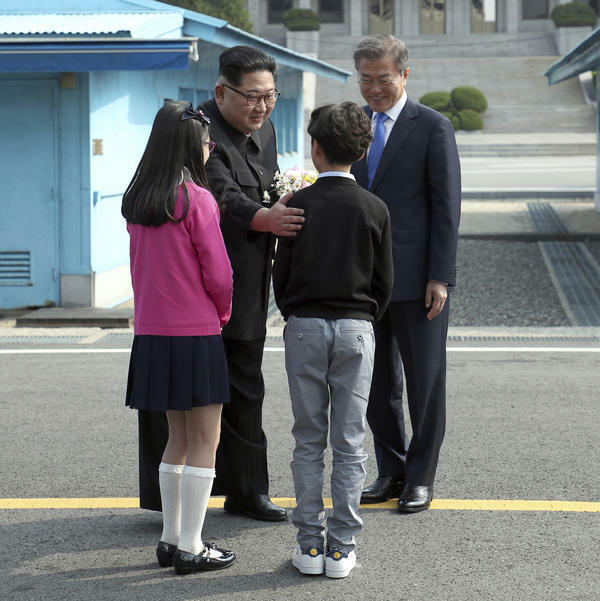 "They drink tea and they shooed the cameramen away and it's just the two of them — and it struck me, they speak the same language," comments Yonsei University historian John Delury. "They don't need interpreters." Publicly, Kim hailed the dawning of an "age of peace" and insisted that the two Koreas could no longer be separated because "we share the same blood." The two leaders' written statement appeared unambiguous on the nuclear issue, pledging "complete denuclearization." Moon has insisted that both Koreas have identical interpretations of that pledge, which would seem to make it impossible that the North might, for example, freeze its nuclear programs at current levels but hang on to its existing arsenal, as some experts fear. But the document offers no time frame and mentions no concrete steps to achieve the goal. 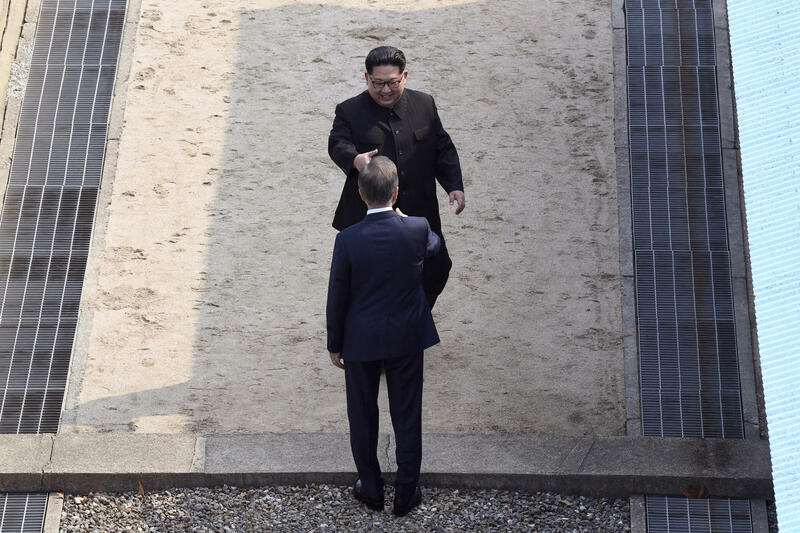 Nor did Kim support his host by concurring or even mentioning the nuclear issue in his remarks to reporters, who were not allowed to ask questions. 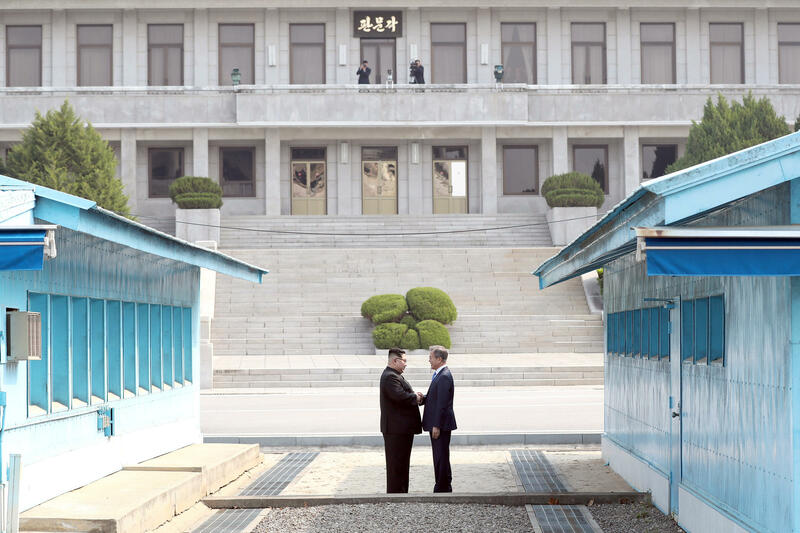 "I think the South Koreans did what they needed to do to make this significant, yet not too overreaching," says Jenny Town, the managing editor of 38 North, an online journal focusing on North Korea. Around the South Korean capital of Seoul on Friday, residents gathered around television screens broadcasting images of the two leaders. Lim Yea-won, a 29-year-old railway employee, was struck by the sight of the two men smiling and shaking hands at the border. "I felt almost emotional, because North Korea is so close," she says. "And yet all this time, we've been unable to meet. My grandfather's hometown is in North Korea," she adds, "and that he's still alive and watching this is an emotional fact for me." She believes that her job with the railway will get very busy — in a good way — once the two Koreas eventually unite. For her, there's little doubt that someday they will. Other South Koreans are not so optimistic. 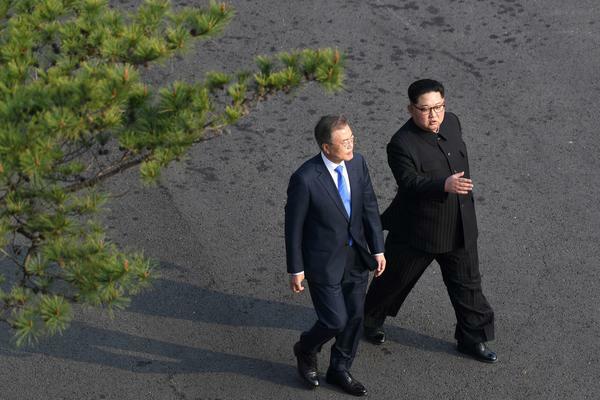 Many believe that North Korean domestic politics drive the nuclear issue. To the extent that anyone can, they follow those politics very closely. 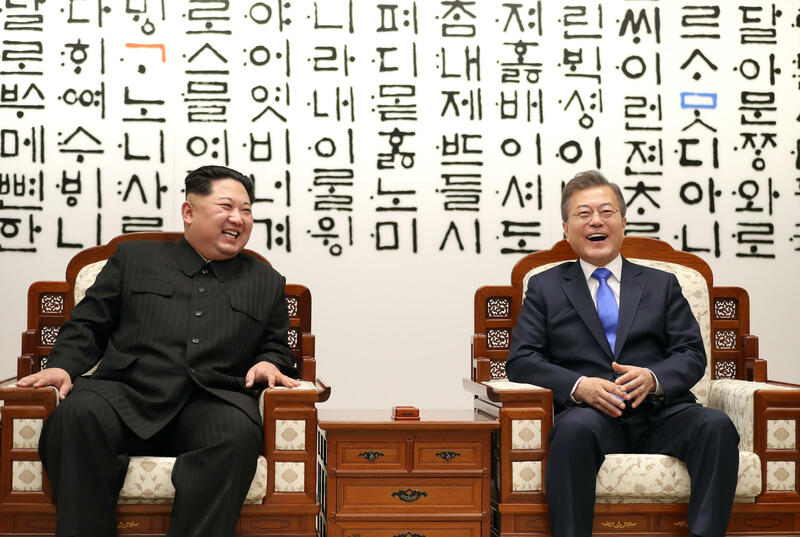 Park Hyeong Jung, a senior research fellow at the government-funded Korea Institute of National Unification, is skeptical that Kim will completely abandon his nuclear arsenal. Park believes Kim will keep his nukes simply to demonstrate to his own people that he is the ruler of a nuclear state and therefore commands the respect of Washington and Seoul. In other words, nuclear weapons have become an indispensable ingredient in the cult of personality surrounding the Kim dynasty. But, he warns, they won't ensure his future. "Nuclear weapons may solve the problem of securing the state," he says. "But they do not help with the security of the regime. Even if they keep their nuclear weapons, its security is not guaranteed." Many people who have actually lived under Kim dynasty rule are even more pessimistic — people like Kang Cheol Hwan, the executive director of the North Korea Strategy Center, a defector-led nonprofit in Seoul that advocates for human rights. He escaped from North Korea in 1992. He believes the summit is just another North Korean trick to buy itself more time. "Until now, North Korea has lied," he says, "and the lies have worked on people who want to believe North Korea intends to give up its nuclear weapons. But I don't think that's the truth." If Kim's "lies are exposed and the U.S. attacks, he will have run out of excuses," Kang says. 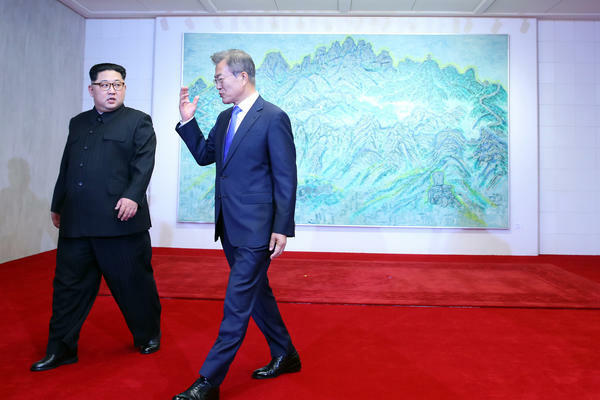 While Kang believes the North's tactics will only take in the gullible, Park warns they may also prove effective with those who may be too eager to get a deal — including President Trump. 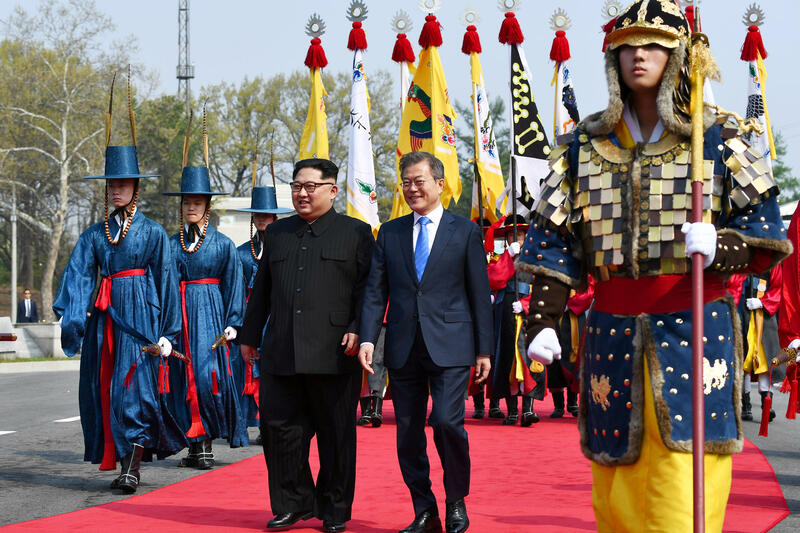 The U.S. must be in on any nuclear disarmament or peace deal, and Park is concerned that Trump, under domestic political pressure to deliver results, could put U.S. interests first and sell America's Asian allies up the river. "North Korea promises not to develop missiles that can reach the U.S.," he says. "In return, the U.S. allows North Korea to keep its current nuclear capabilities and reduces U.S. forces stationed in South Korea." A best-case scenario, he says, is that Kim will show himself to be a liberal reformer in the mold of Mikhail Gorbachev, the final leader of the Soviet Union. But Park says that's highly unlikely for Kim, a man believed to have ordered the killings of both his half-brother Kim Jong-nam and his uncle Jang Song-thaek. 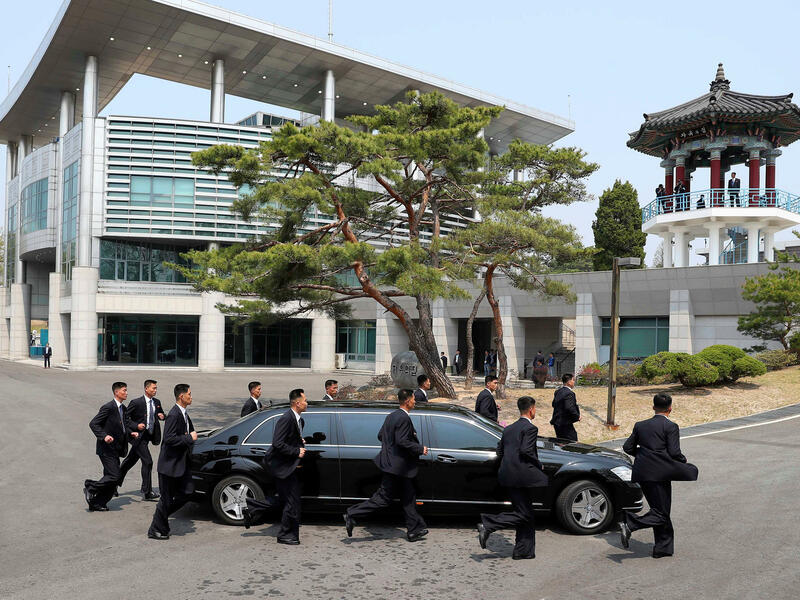 "In an environment such as North Korea's, where power struggles and conspiracies are rife," Park says, "to be a leader, especially such a young one, Kim had to be Machiavellian and ruthless. He's definitely had to be a risk-taker to survive." 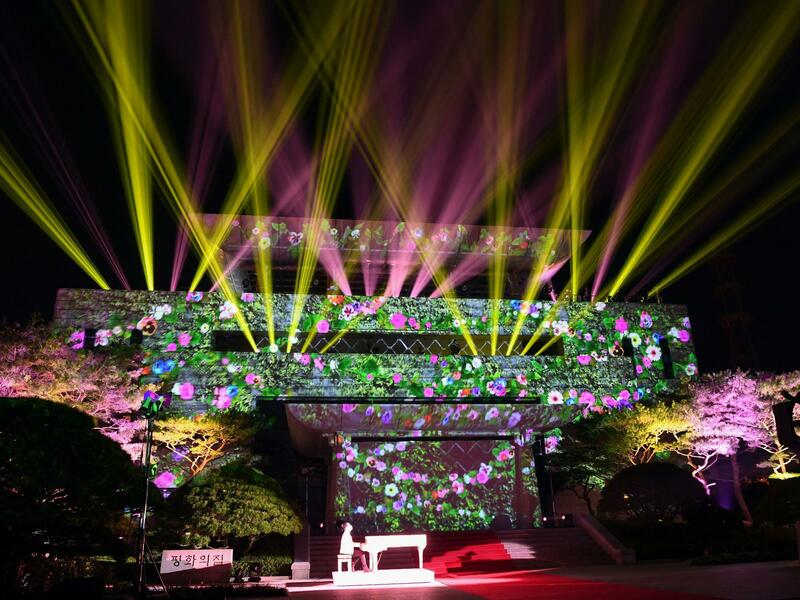 Elise Hu and Seoul producer Se Eun Gong contributed to this report. 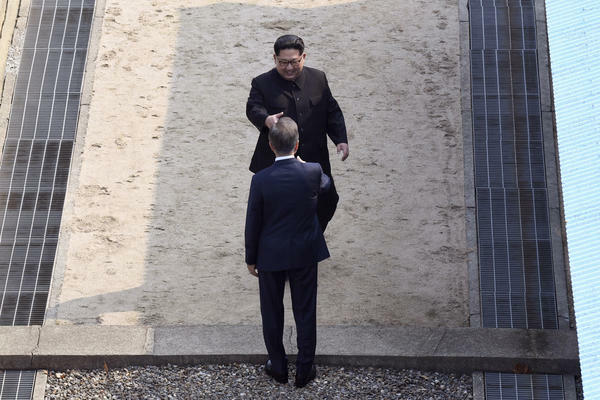 The world watched this week as the leaders of North and South Korea met near the border that separates them. North Korea's Kim Jong Un and South Korea's Moon Jae-in agreed to seek complete nuclear disarmament and to try to bring an official end to the Korean War. 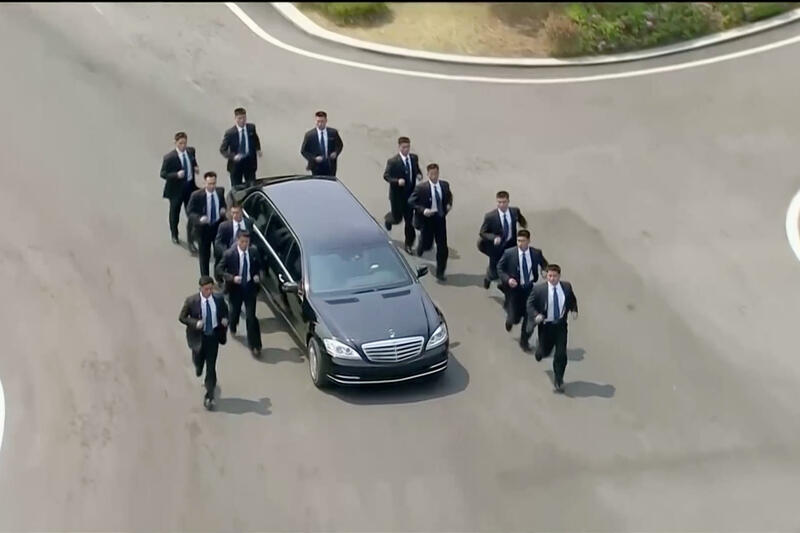 Arguably, nobody was watching as closely as South Koreans. NPR's Anthony Kuhn gauges the reaction of people in Seoul to this historic summit. ANTHONY KUHN, BYLINE: At noon on Friday, travelers at Seoul's main train station gathered around television screens beaming images of two beaming Korean leaders. 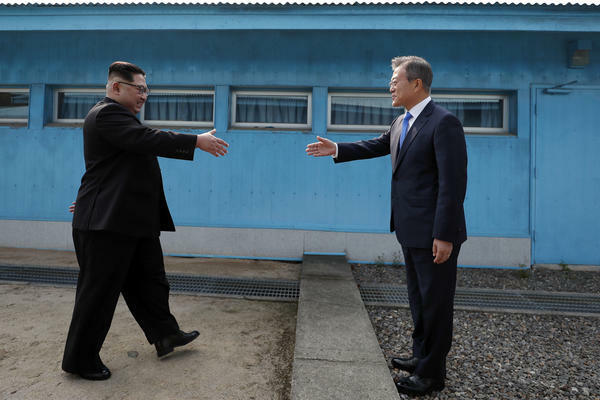 Twenty-nine-year-old railway employee Lim Yea-won was struck by the sight of the two men smiling and shaking hands at the border. KUHN: "I felt almost emotional because North Korea is so close," she says, "and yet all this time we've been unable to meet." 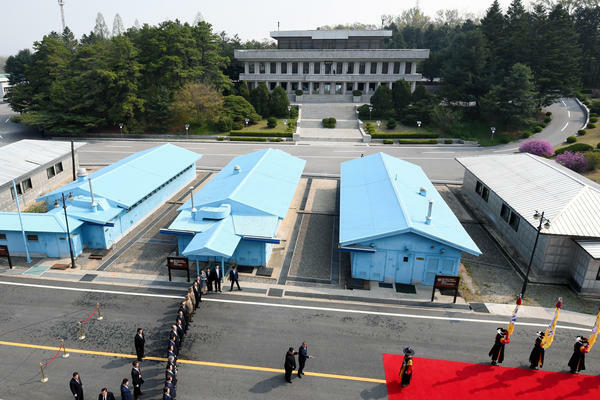 It's the first time a North Korean leader has ever set foot in the south. Lim says her family has ties to the north. KUHN: "My grandfather's hometown is in North Korea," she says, "and that he's still alive and watching is an emotional fact for me." Thirty-two-year-old Kweon Byeong-jin distributes goods for department stores. He says last year he was concerned that war would break out on the Korean Peninsula. KWEON BYEONG-JIN: (Through interpreter) I think it's really fascinating that, you know, just a couple of months ago we were almost at each other's throats, but now we can watch this in real time. KUHN: He says he's optimistic he'll live long enough to see the nation unified. 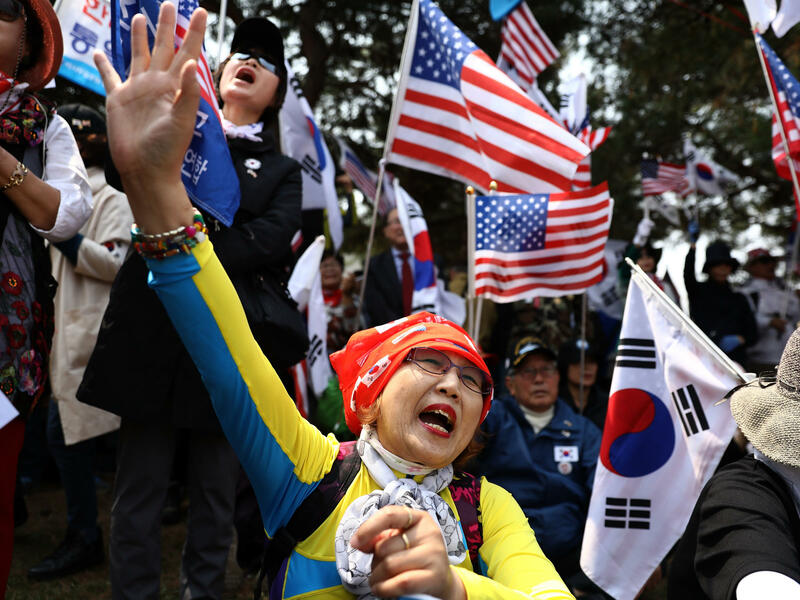 Other South Koreans who follow politics in the north very closely are not so optimistic. Park Hyeong-jung is a researcher at the government-funded Korea Institute of National Unification. He doubts that despite today's pledge Kim Jong Un will completely abandon his nuclear arsenal. PARK HYEONG-JUNG: (Through interpreter) Nuclear weapons may solve the problem of securing the state, but they do not help with the security of the regime. Even if they keep their nuclear weapons, its security is not guaranteed. 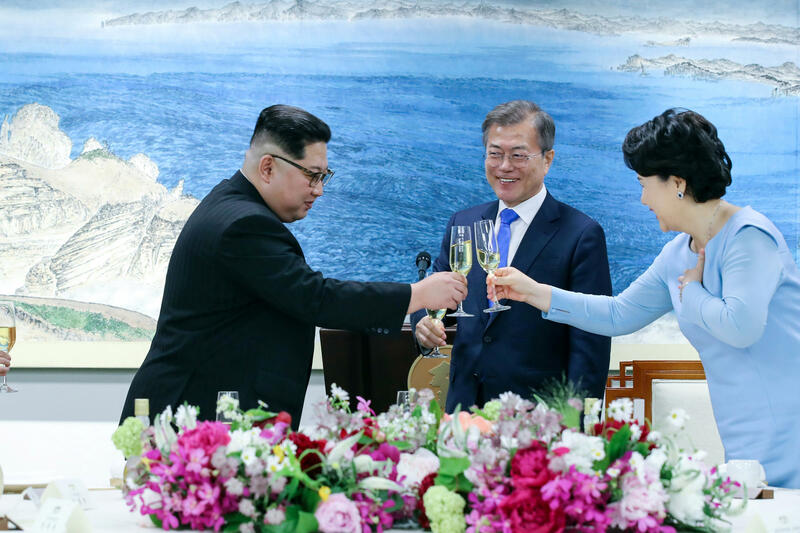 KUHN: In other words, Park says, Kim will keep his nukes simply to demonstrate to his own people that he is the ruler of a nuclear state and therefore he commands the respect of the U.S. and South Korea. Even more pessimistic are people who have actually lived under Kim rule, people like Kang Cheol-hwan. Kang is executive director of the North Korea Strategy Center. He escaped from North Korea in 1992. He believes the summit is just another North Korean trick to buy itself more time. 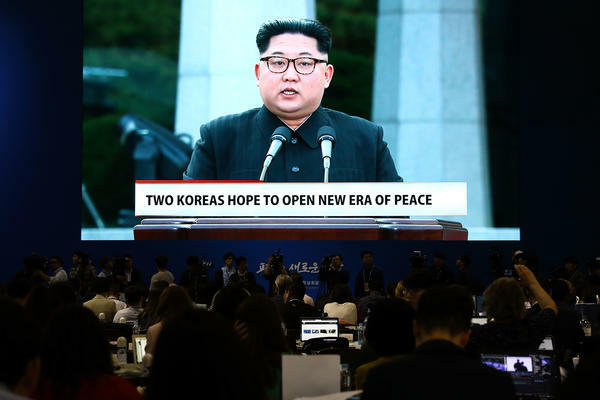 KANG CHEOL-HWAN: (Through interpreter) Until now, North Korea has lied, and the lies have worked on people who want to believe North Korea intends to give up its nuclear weapons. But I do not think that's the truth. 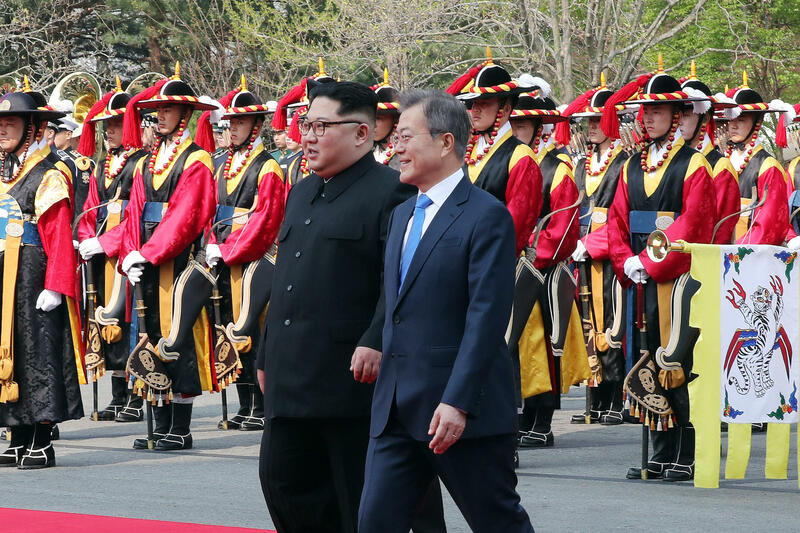 KUHN: South Koreans are generally aware that today's summit is just the beginning and a prelude to a meeting between Kim Jong Un and President Donald Trump, which is expected in the next month or so. 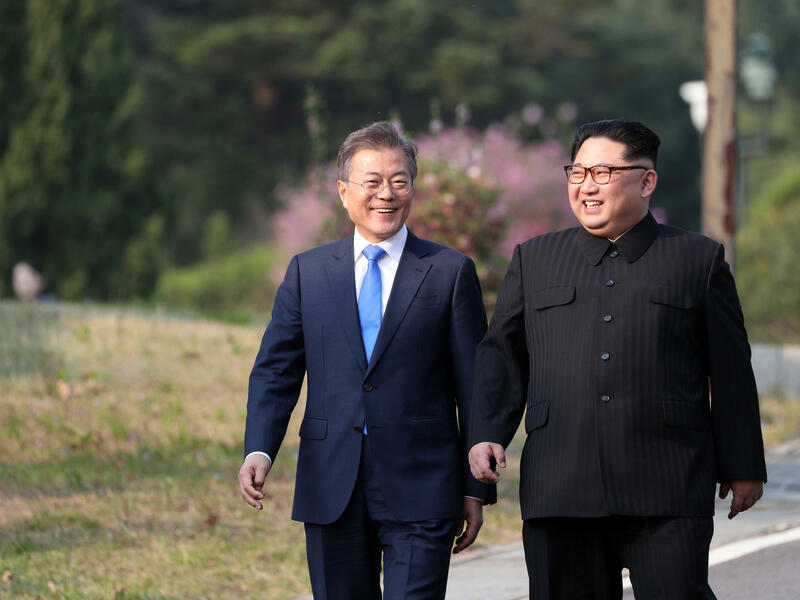 Park Hyeong-jung's main concern is that President Trump is in a hurry to get a deal even if it's a bad one for Seoul. Park's nightmare scenario goes like this. PARK: (Through interpreter) North Korea promises not to develop missiles that can reach the U.S. In return, the U.S. allows North Korea to keep its nuclear capabilities and reduces U.S. forces stationed in South Korea. KUHN: Whatever the outcome of a U.S.-North Korean summit, Park expects both sides to spin it hard as a success. Anthony Kuhn, NPR News, Seoul. (SOUNDBITE OF WILLY MASON'S "RESTLESS FUGITIVE") Transcript provided by NPR, Copyright NPR.